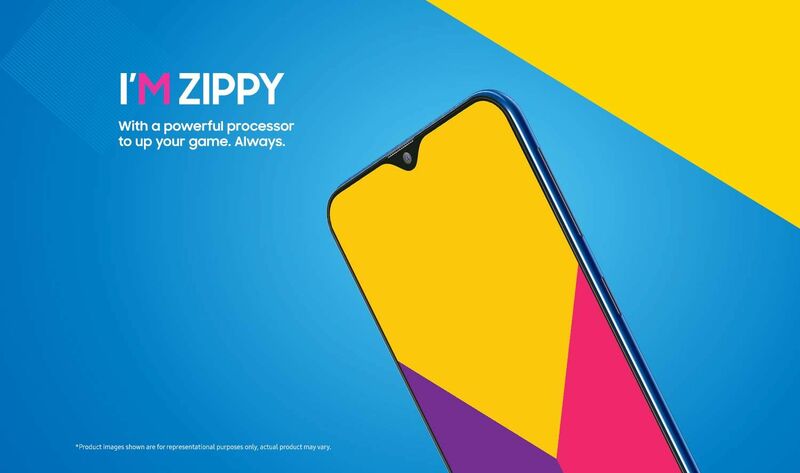 While all eyes are set on Samsung’s Galaxy S10 smartphones, the Galaxy M Series will create some headlines before that. The vendor earlier today announced January 28th as the launch date of the Galaxy M series, and now it has listed the Galaxy M Series on Amazon.in along with few other details. It’s worth mentioning that details are in line with the leaks and rumours we have been hearing/ reading over the course. To start with, the page doesn’t reveal which model it’s going to be. 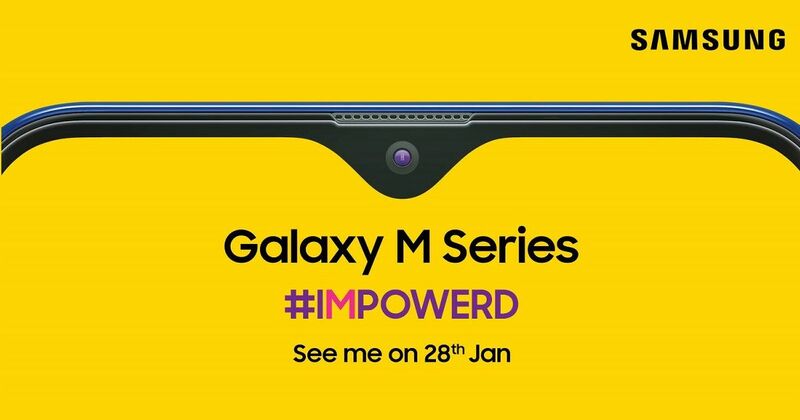 As you may recall, the Galaxy M Series is expected to come in more than one model — allegedly dubbed as Galaxy M10, Galaxy M20, Galaxy M30, and Galaxy M40. 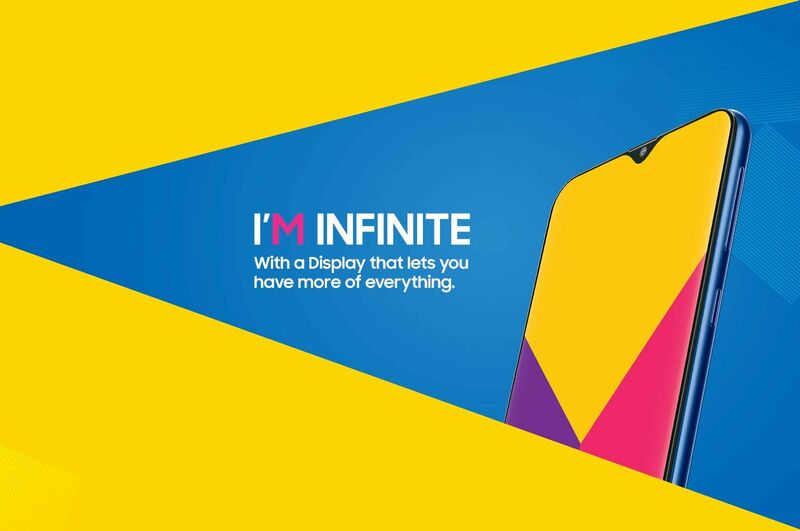 They are all going to be aggressively priced starting from Rs 10,000 and going up to Rs 20,000. Coming back to the listing, you can see the Galaxy M Series with a waterdrop-style notch display, which Samsung might introduce as the Infinity U panel. The screen looks almost bezel-less with a tiny cut-out up top for a selfie camera and earpiece. 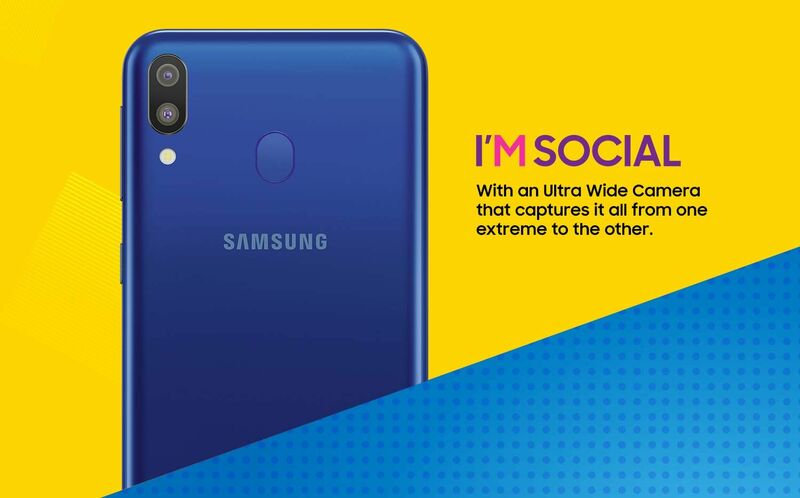 The rear panel is studded with a dual camera setup that also features an ultra-wide sensor, an oval-shaped fingerprint sensor, and Samsung branding. While the left spine of the phone seems mostly clean, it’s the right spine where you’ll find a volume rocker and power button. The bottom edge features 3.5mm headphone jack, USB Type-C port, and speaker grill. 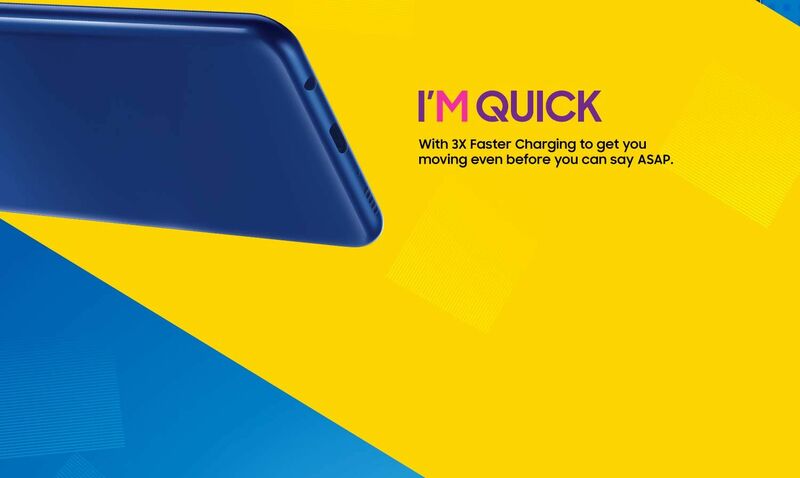 The page hasn’t spilled the beans over the phone’s specifications, but it does mention an impressive battery and 3X fast charging support. If rumours are anything to go by, it may pack 5,000mAh cell. Apart from this, the phones will reportedly feature Samsung’s Exynos 7000-series chipset paired with minimum 3GB of RAM and 32GB storage configuration.